I already had these items but not mint and without boxes. Hi Richard, they are really nice. By the way, I went French too! The day before yesterday this French version of the Coles 20-Ton Lorry Mounted Crane arrived, a beauty and a companion to the Liverpool original! All wonderful, I love the Fiat Richard, one of the few French Dinky's I had as a child. Wish I still had it. Any differences in the Coles Jan? Other than the lettering etc? Lovely condition. Hi Chris, I have waited for such a beauty (at an acceptable, realistic price) for many years already. The axles, tyres, cords and hoisting hook are French and so is the now embossed front base plate: ASSEMBLE EN FRANCE, MECCANO - PARIS. The shades of paint are slightly deeper, especially of the yellow-orange of the hoisting house. Also is the 'jib bumper' different in shape and size, but that may be a regular change which goes for the British-made models as well (see picture below, French in front). That crane is superb Jan. 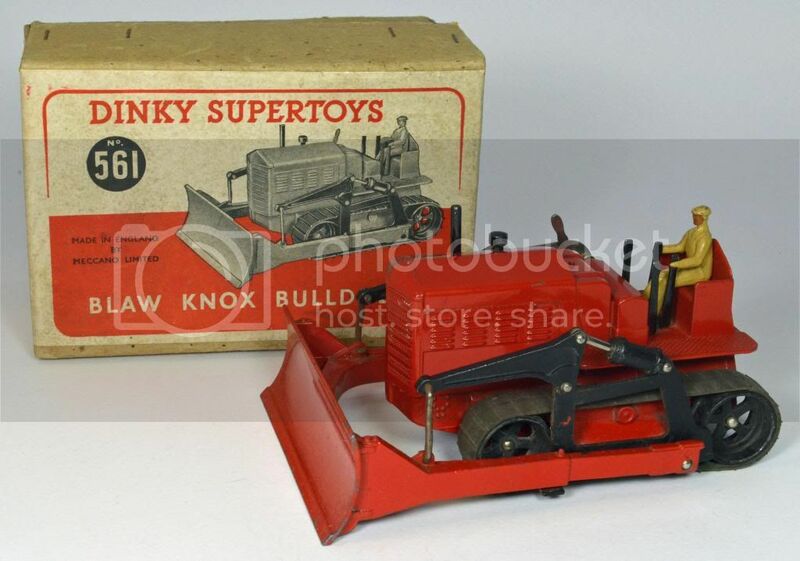 It has always been a firm favourite of mine and truly is a "Classic" dinky toy of the 1950s with absolutely huge amounts of play value. To both of you, nice adds to your collections! And Jan, that Coles is just superb......I had never seen one before. What years did they make it? And yes, lots of play value for young boys (and older men!). I got mine when I was about 11 or 12.......I would always ask my grandmother to give me one of those expensive Supertoys for Christmas, and she usually obliged! Thank you Terry and Chris for for your friendly coments. Hope you're right Jan ! Is it a Confucius thinking ? 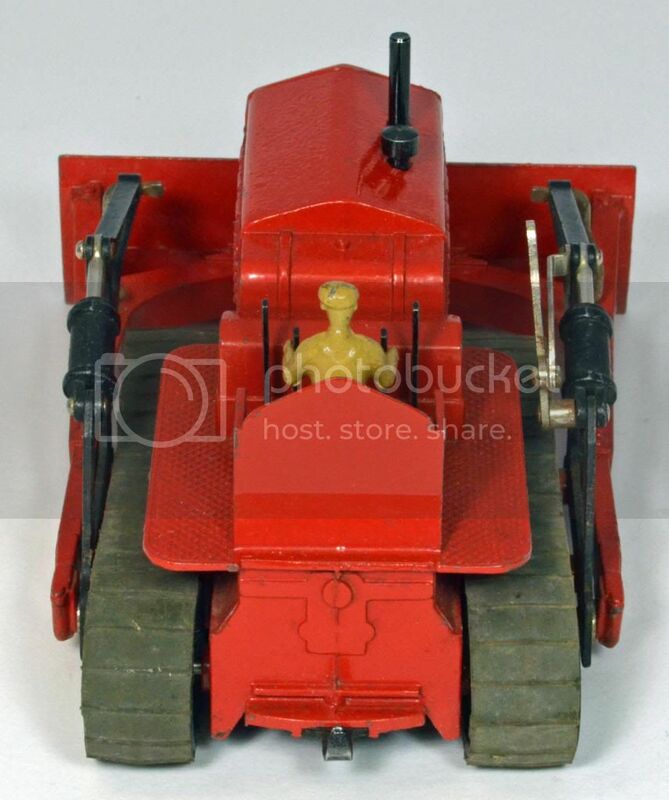 I love this model, it's so in the spirit of the very early Dinky's, so simple, and yet very accurate. 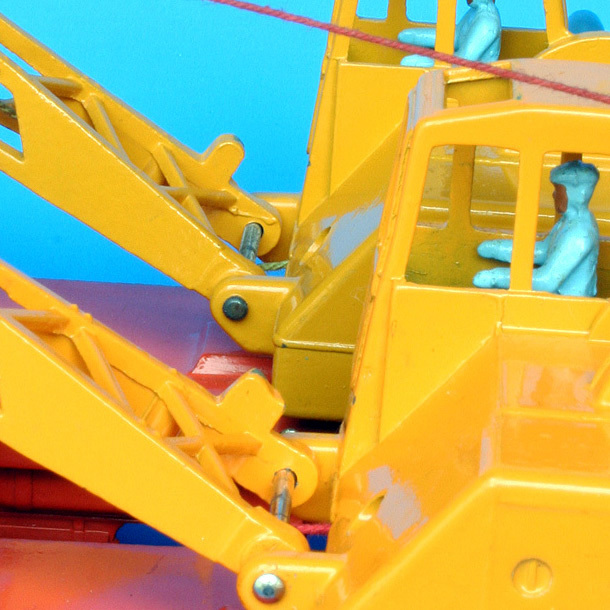 The same Leyland Beaver truck has been made by Meccano at two different scales : 1 : 48 and 1 : 72. Yesterday morning, a new child is arrived. Badly repainted, I will try to clean it. I started with the front wheels. I took out the white paint. It's not perfect yet but it's a beginning. If some members have ideas on the way to make it, their advices are welcome. I think that it was a two tones "blue and yellow" Taxi of 1939 or 1940. Some few were made just after the war. I just received 3 new Dinky's in the mail late this past week, so will post a few pictures. 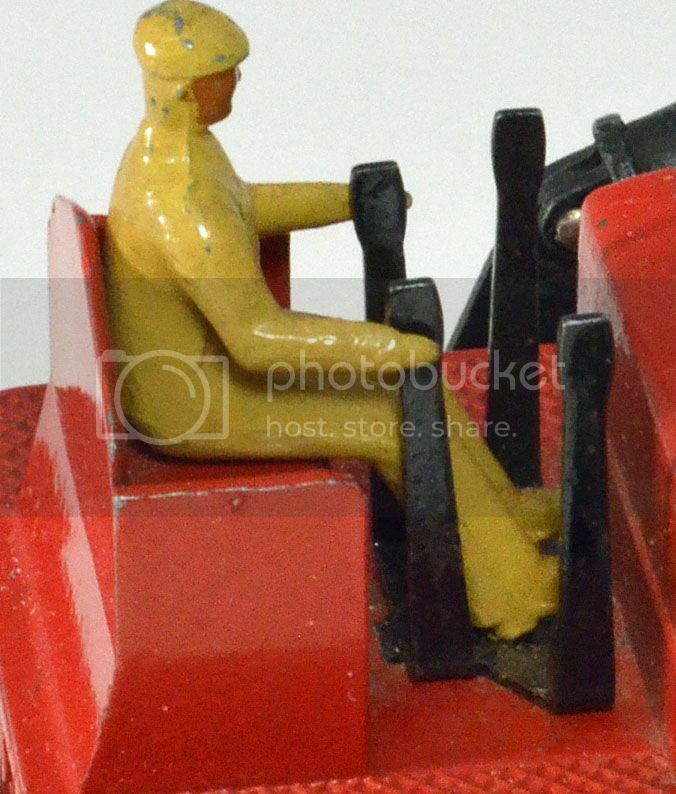 In this first one, I will focus on the Supertoys Blaw Knox Bulldozer, which I am so excited to finally have. 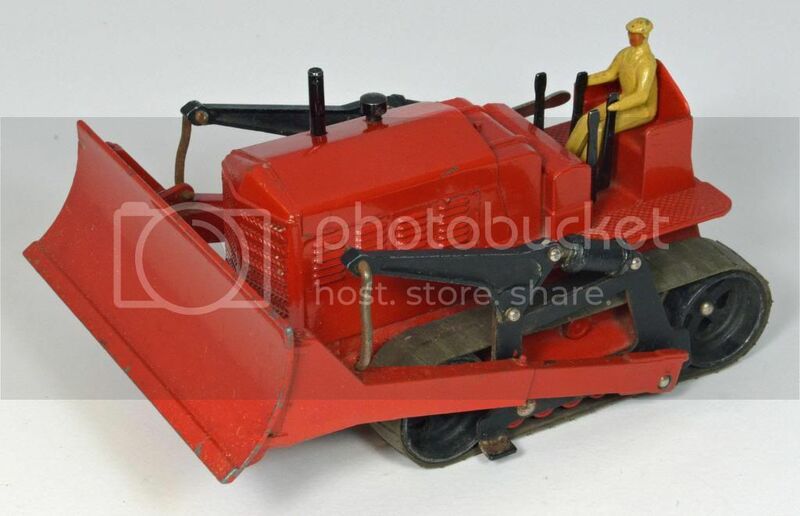 When I was much younger and collecting Dinky Toys, I really wanted the bulldozer, but it was a lot more expensive than the Heavy Tractor, so I settled for that, and never did pursue the bulldozer. Some time ago, I had read some more postings on this delightful model, and decided it was high time to find one. There are many for sale on the websites, such as eBay, but almost all of them do not have the tracks anymore...they have rotted off and disappeared. So when I saw this one, in excellent condition, with the tracks, and with the box, I had to have it. And I was not disappointed. It does have a couple of small nicks and some paint wear on the blade, but it does not look played with. The green tracks are in wonderful shape, although I am very careful not to move them much. The big surprise was the box. It is one of the early Supertoy boxes, stapled together, and also has both inserts present. And besides that, it also had a small separate piece of paper reminding you to oil the tracks, for smoother operation. I think this box is from around 1952 or so, so that was an unexpected thrill to get all of that. I have not had a chance to take some pictures alongside its brother, the Heavy Tractor, but I will soon. Great buy. This Peugeot 402 must be the limousine, not the taxi as no yellow paint can be seen at all. As the yellow was applied first and would be seen were the blue paint is scratched. For me, it is a "Taxi" ! As you can see on the photos here under, there are yellow traces inside, as usual on this kind of item. Then it must have been striped and repainted in blue. Just arrived: killing two birds with one stone I managed to acquire both 80b (Jeep Hotchkiss - Willys, 1958) and 80c (Char A.M.X. 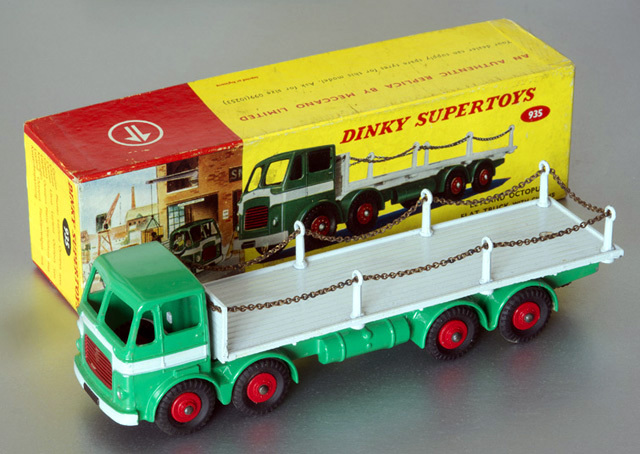 13 tonnes, 1958) of the French 80-series military Dinky Toys as issued between 1957 and 1959. Just the 80f (Renault carrier ambulance militaire), the only one of this half-a-dozen issued for the first time in 1959, is wanting. Very nice line up Jan. I consider that the AMX is a poor Dinky as too many details are missing. Mainly the screen at the very front, the spare wheel and spare track pads, the headlights are in the wrong place and the wire mesh of the engine fan is not detailed. That is the circle next to the driver's hatch. On later issues fitted with an aerial, it was positioned is a wrong place on top of the turret when there should be one on each side. Never the less you have found nice mint examples of almost all the series and you will certainly find the ambulance soon. The Ambulance was the only one I had as a kid, were they sold over here, or would mine have been a visitor? I had a few CIJ models that I'm pretty sure were never sold in the UK, but seemed to turn up regardless! Both the model and the box are in mint condition - it is stunning. Very beautiful Dinky Dave ! I don't have one in my collection. wait and see ! A wonderful model in fantastic condition. 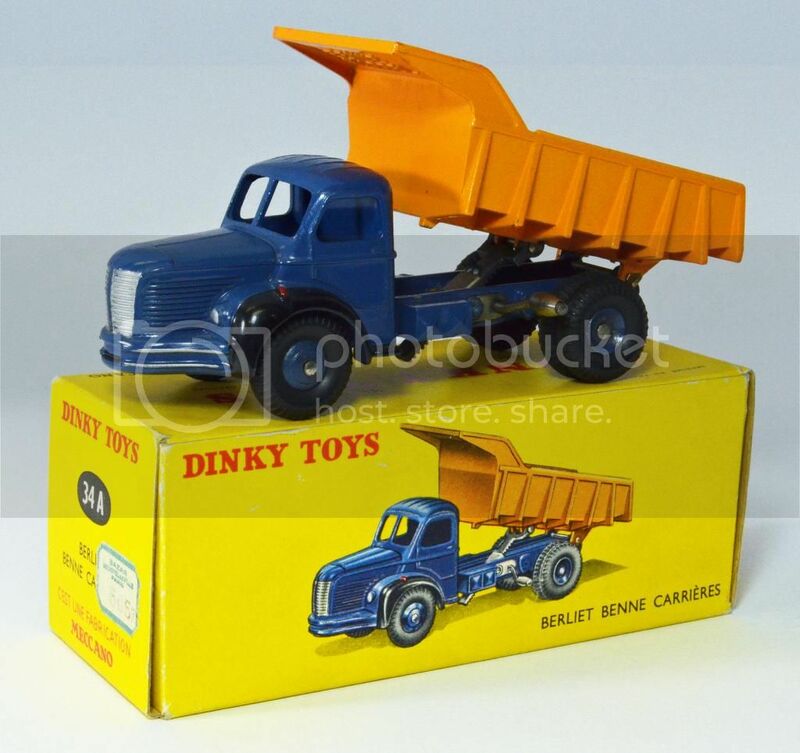 Nothing quite like buying an older Dinky that is like new in the box.....doesn't happen often for most of us, but when it does...wow! This loud speaker van arrived this morning and complete the family ! Just received a new Dinky model in the mail this past week, so wanted to post a few pictures. 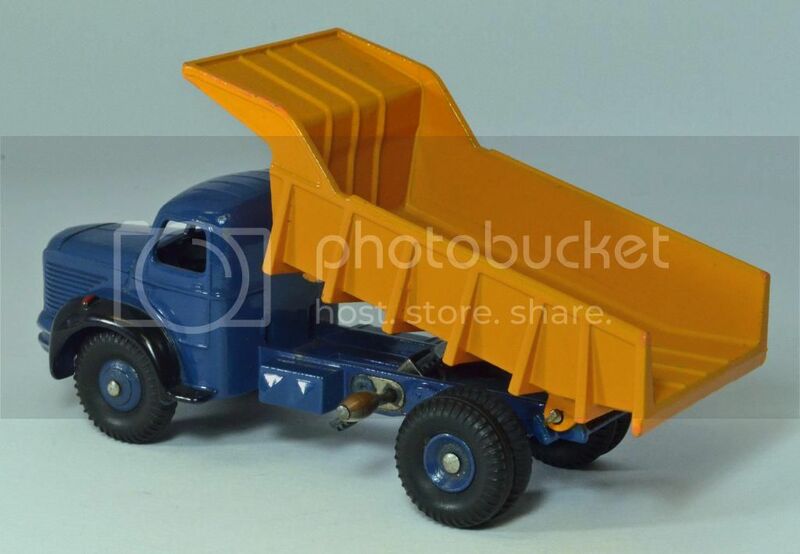 It is the French Dinky Berliet Dump Truck, #34A. It was listed in nearly mint condition, with a matching box, so I jumped on the chance to acquire it. I had already obtained its companion, the Berliet Container Truck,, so I already had an appreciation for this nice model. 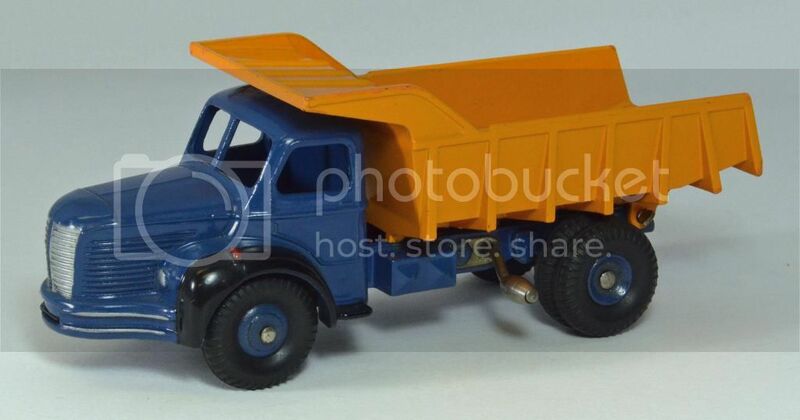 I am only guessing, but this is likely the very first Dinky Toys truck to come with dual rear wheels on the tractor unit, and it sure looks great with them. 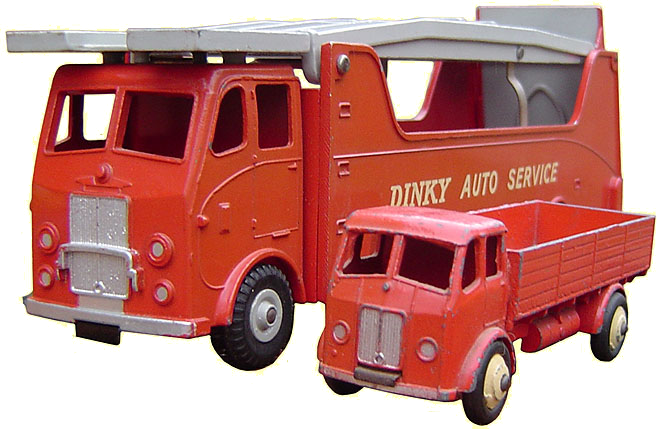 It is a shame that Dinky did not incorporate those on some of the earlier models. 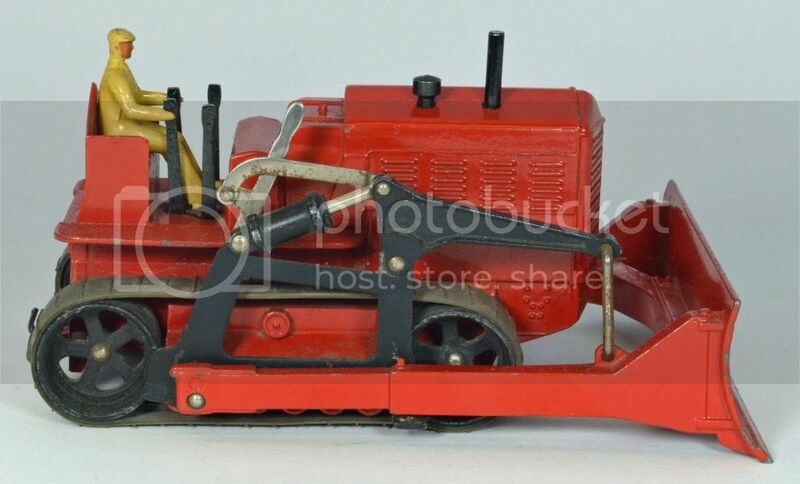 That is an absolute beauty, one of my favourite Dinky Toys is the Euclid and the French equivalent is a lovey model. And I fished up those in the antiques markets that I have visited !